Neil R. Hedtke received his Bachelor of Science at the United States Military Academy at West Point, New York. After graduating, he served five years in the US Army as a Corps of Engineers Officer. He graduated from Airborne and Ranger School, served as a platoon leader near the DMZ in Korea, and served as executive officer of Headquarter's Company of the 101st Airborne Division (AASLT). After the military, Mr. Hedtke was a highly successful pharmaceutical territory manager for Pfizer, Sanofi-Aventis, and Sepracor Pharmaceuticals and promoted such noteworthy products as Lipitor, Neurontin, Aricept, Zoloft, Plavix, and Lunesta. As a result, Mr. Hedtke has a network of close physician relationships. 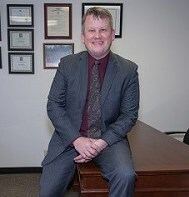 He attended the University of La Verne College of Law and received his Juris Doctor degree. He was a finalist in Appellate Advocacy. He also earned a CALI award for performance in Legal Analysis and Writing II. Additionally, he was placed on the Dean's List during his final two semesters. Prior to opening his own practice, Mr. Hedtke was an associate at Cihigoyenetche, Grossberg & Clouse and Consumer Litigation Law Center. Mr. Hedtke is admitted to practice law before California State Courts, the Federal District Bankruptcy Court of California, Central District, and the Federal District Court of California, Central District.